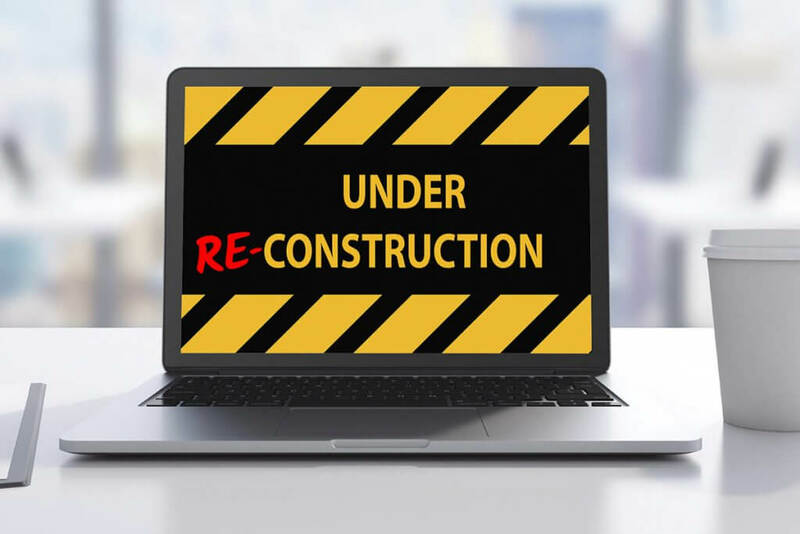 Increasingly, we’re meeting asset managers who need to redo their website because the one they built a short time ago is not meeting their needs. Why is this happening? As far as we can tell, it’s because these managers have allowed design and structural development to drive the web-creation process rather than content development. More specifically, they build their website before they fully develop their branding. And, effective branding in the investment space requires a lot more than just attractive visual elements and a pleasant “user experience.” It takes a well-thought-out marketing story as well as a measure of thought-leadership. Since most people would agree that having to build a website twice is highly inefficient, we’d like to share some perspective to help get it right the first time. We understand why many firms rush ahead to build their website as quickly as possible. With all the DIY software readily available today, putting up a basic site on the web is easier than ever, whether you do it yourself or have it done by a web design professional. Furthermore, many managers recognize the importance of a web presence—your site is the first place a newly contacted prospect will go to check you out further. However, trying to perfect your branding during the site-building process is far from ideal. We believe that it’s best done within the process of creating your pitch book and other “print” materials, which offers considerably more flexibility for trial, error and iteration. And, if you build your site before you’ve cultivated your branding, it would probably not include (or not be consistent with) the narrative, differentiators and thought-leadership that you’ll ultimately be presenting to prospects. At best, your website would be presenting your firm in a less-than-optimal way. At worst, your prospects would be seeing a different story online than the one you’re telling them in person or they’re reading in your materials—a sure-fire way to confuse and deter prospective investors. And, like many managers who build a site prematurely, you’d probably wind up wanting to replace it. Once you’ve honed your branding and marketing, you’ll be in good field position to develop effective content for your site—content that can mean the difference between standing out from the competition or just looking like one of the crowd. However, because of the traditional restrictions against hedge fund advertising, many asset managers assume that they’re not permitted to say much of anything substantive on their public site about their firm, its investment discipline and strategy, their thoughts on investing, or what differentiates them from their peers. We question this restrictive view. Our experience, particularly in the post-JOBS Act era, has led us to believe that you can say a significant amount in these areas, especially if you don’t do it in the context of offering site visitors access to your investment products or services. Having said that, this is clearly an area where you need to proceed with vigilant guidance from legal counsel or compliance professionals, depending on the nature of your investment structure and registration. These days, almost everyone in business knows someone who produces websites. But the question is, will that someone know your business? After all, branding and marketing financial services is very different than branding and marketing conventional consumer products and services. We suggest that not all web designers are adept at creating content for financial services or integrating the specialized content you’ve developed into a website with optimal results. We realize that all this may sound rather self-serving. But the reality is, you want to be confident that the folks creating your site understand the nuances of investing—from both a technical and psychological perspective. You want to be sure that they’ll be able to recognize your firm’s key differentiators and communicate them clearly and with impact. And that they’ll be able to set the right tone in addressing your target audience—who would have to entrust you with considerable sums of money to participate in your investment offerings. So, our advice is to think carefully before engaging a generalist web-developer you happen to know, even if they build nice-looking sites. There’s a lot more to talk about when it comes to creating an effective website for your management firm. (Hmm…sounds like another article for another time.) But for now, we want to leave you focusing on the key points mentioned above for building your website right the first time and avoiding the do-over trap.